Father’s Day is fast-approaching and what better way to celebrate your “old man” than with a good meal. Whether your dad likes BBQ or tacos, here’s a breakdown of some of the best restaurants in the region. Tacos El Gordo: If your dad loves authentic street tacos, you can’t beat Tacos El Gordo. The restaurant has two locations, one in National City and the other in Chula Vista. You can find adobada, carne asada and lengua. Be the ideal son or daughter and get in line or snag a table before your dad arrives so he won’t have to wait long. Is the South Bay too far? No problem. TJ Tacos in Escondido is just as tasty and serves the same style tacos. Bull Taco: If you want to head to the beach, try Bull Taco. Located in Cardiff and Encinitas, you can find everything from duck tacos to chicken and fish. Don’t leave the restaurant without trying the delicious tater tots too. City Tacos: If you want to try tacos with a twist, go to City Tacos in North Park. The folks here bring out the best flavors in their dishes with tacos such as chorizo asado, fish and mahi al adobo. You won’t regret this place! Hodad’s: Every best burger list begins with Hodad’s. The restaurant, which is located in Ocean Beach and in downtown, features the tastiest patty you’ll ever have. Go simple with a cheeseburger or try the Blue Jay, a bacon cheeseburger with blue cheese and grilled onions. Carnitas Snack Shack: This hip restaurant offers all things pork and when it comes to pork burgers, it has the best. Carnitas Snack Shack offers its snackshack burger with bacon jam, white chedder and homemade aioli. Find this joint in North Park or the Embaracadero. Burger Bench: Found in downtown Escondido, this restaurant offers a variety of burgers served on mouthwatering brioche buns. You can go classic with a simple cheeseburger or spicy with a chorizo burger topped with jalapenos and chipotle aioli. Either way, you can’t go wrong. 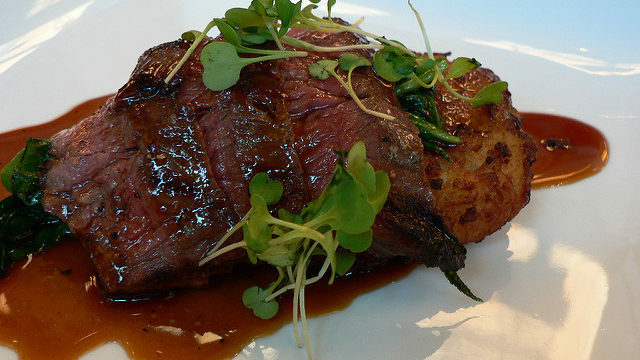 Cowboy Star: If you’re looking for a good steak, try Cowboy Star in downtown San Diego. Sourced locally, you’ll find everything from a ribeye steak to a porterhouse to a t-bone. Seafood items include sea scallops, Skuna Bay salmon and raw oysters, among others. The Butcher Shop: This Chicago-style eatery offers steaks ranging from sirloins to filet to a prime rib in an intimate environment. You can also find shrimp, salmon or calamari. 333 Pacific: This beach-side restaurant offers the best of land and sea. 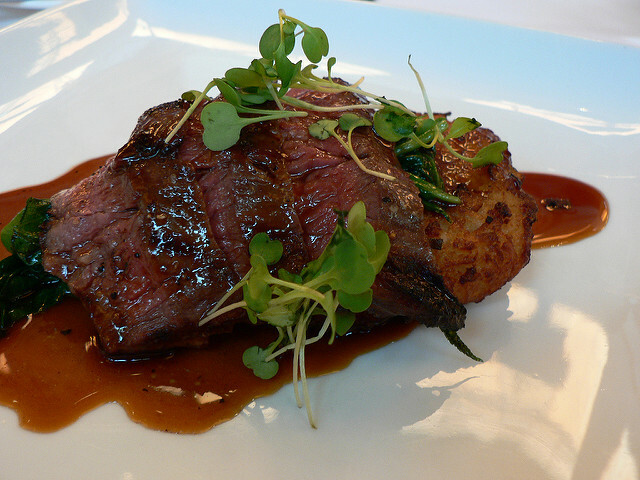 Enjoy a prime flat iron steak or Alaskan King Crab legs. Iron Pig Alehouse: Barbecue doesn’t get better with this Texas-style eatery. Situated in Pacific Beach, Iron Pig Alehouse offers Sammies with pulled chicken or pulled pork, chicken wings and of course, ribs. Top off your meal with some macaroni and cheese. Phil’s BBQ: Of course, you can’t go wrong with Phil’s BBQ. The popular San Diego restaurant chain offers some of the best barbecue you’ll find in the region. Try the baby back ribs or chicken or both!